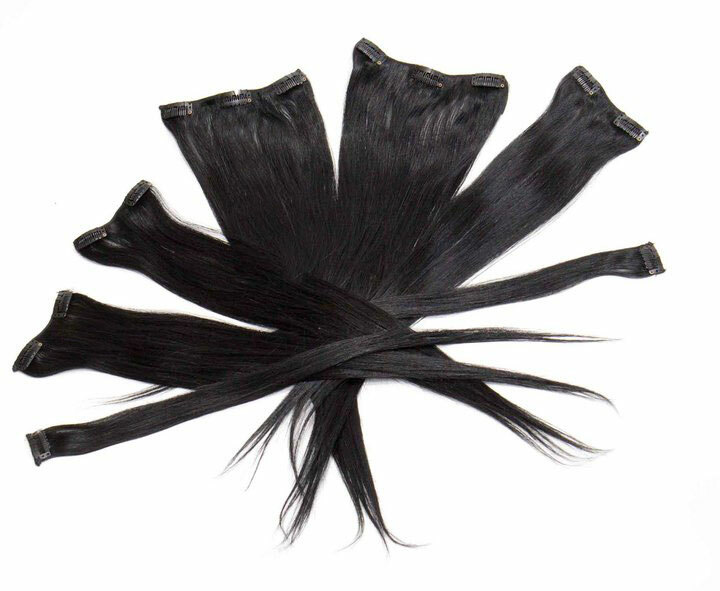 21 inch Remy clip in human hair extensions, easy to apply for instant volume, length and color. im so excited about my hair extensions, i love everything about them...i got the straight ones and already added some curles and waves. They hold really nice.so happyy!! I seriouslly feel like a friekn celebrity. All the guys talk to me like never before. These hair extensions are so worth every penny. Thank you for this opportunity I am so happy. Nobody can even tell that they are extensions and sometimes i even forget that i am wearing them. i actually like the longer hair. You were right.